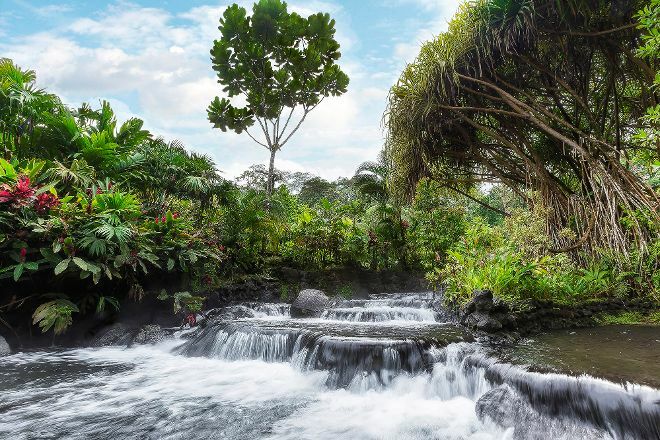 Soak in the volcanic surroundings at Tabacon Hot Springs, a spa resort in the heart of Costa Rica's rainforest. The five-star complex provides luxurious and relaxing experiences in a natural setting, right at the base of a mighty volcano that destroyed a nearby village in the 1960s. Dormant for the last few decades, the volcano now provides a scenic backdrop for five different hot springs, with temperatures ranging between 25 C (77 F) and 50 C (122 F). 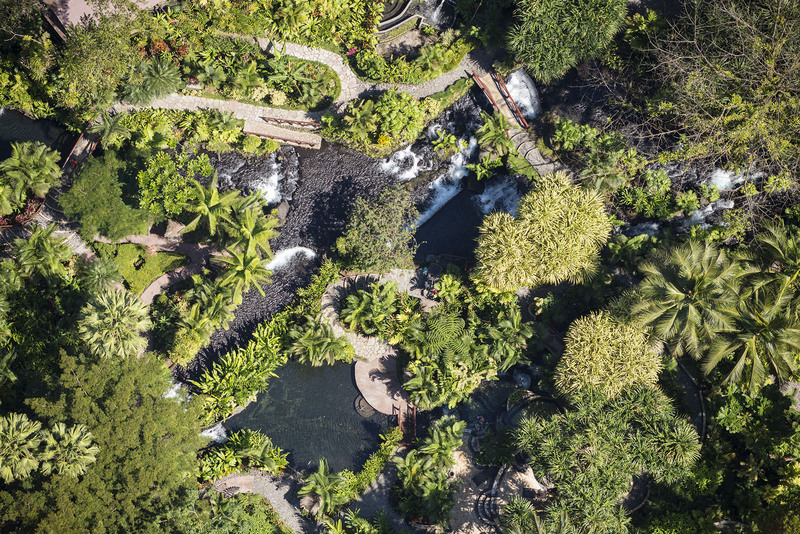 Naturally heated by the volcanic soil, a thermal river flows through the resort and forms several small waterfalls and swimming pools. Browse the website for one-day passes, special packages, and onsite accommodations. 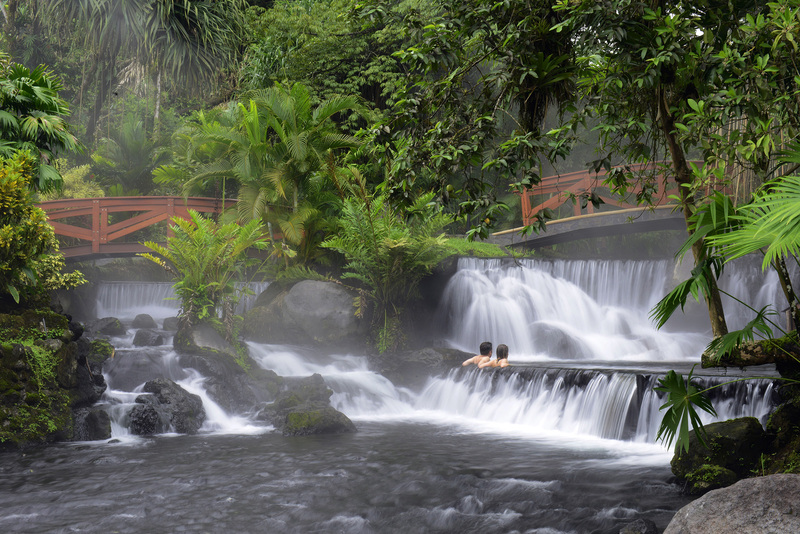 Put Tabacon Hot Springs on your schedule, and learn what else deserves a visit by using our La Fortuna de San Carlos trip maker app . For Those who like hot water, nature, waterfalls, Tabacon hot Springs is the right place. Be pampered in this wonderful place, and then follow the baths with a delicious dinner in the restaurant, it is a desire to complete the ride to the Arenal volcano. This place is absolutely amazing. You should really come here if you're in the area. They offer day passes which include lunch and/or dinner.